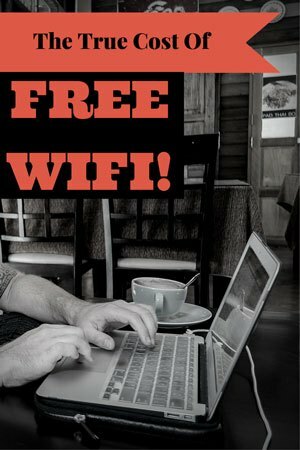 “Do you have WiFi?” It may just be the most asked question by travellers in this day and age. No matter what far-flung corner of the globe we end up in, we can almost always find an internet connection. And for many of us, having access to the internet has become an absolute necessity. The benefits of having a wealth of information available at the click of finger are tremendous. I can sit in a café in Guilin, China and research the best places to stay in Ulaanbaatar, Mongolia, without having to find a guidebook or talk to anyone who has been there. The advantages of being able to keep in contact with my friends and family all over the world, no matter where they are, is truly amazing. But what are the consequences of always being connected? Almost everyone who leaves his or her house does so with at least one device to allow them to stay connected, whether it is a laptop, a smart phone or a tablet. The idea of travelling without one has become inconceivable. How else will we find out what our friends are doing back home, or whether our favourite sports team is winning or not? What other methods will we find to pass the time when we the weather is bad or we are too tired from sightseeing? These days the art of disconnecting with the internet and reconnecting with the world around us is becoming harder and harder to achieve. Everywhere you look, people are staring at screens. On buses and trains, in bars and restaurants, in the presence of others, or on our own, we all have our eyes and hands glued to a piece of technology. Every meal we eat and every activity we do is documented with a snapshot. Conversations exist simultaneously with the person we are actually talking to, and our phones. Almost no experience can occur without thinking of a way to announce it to our friends on Instagram, Facebook or Twitter. We have created online, idealistic images of our lives to portray in a virtual world – profile pictures with filters, selfies with groups of friends or in exotic locations, always smiling and having fun. Is this a true representation of who we are? Where once a hostel common room was a place to meet new friends, now they have become a place to keep in contact with old friends. If the Wifi signal drops out you can see the frustration mount on the faces of people everywhere. Sometimes the first instance of a person reaching out to speak with you is to ask whether your internet is working. By being constantly connected, we are separating ourselves from reality. The way we explore this world has changed dramatically in the last decade. If a restaurant isn’t on Trip Advisor, we won’t eat at it. If a hotel isn’t in the Lonely Planet or on WikiTravel, we won’t stay there. If we meet someone who we form a friendship with, but they don’t use social media, chances are we will never speak to them again once our goodbyes have been said. The world has become a lot smaller, but not just in a positive way. We are losing our ability to interact, to engage and to bond with the people we meet. Forming a relationship with someone doesn’t develop from spending time with each other, but instead it is created based on whether you swipe left or right. Friends aren’t measured by who you talk to and hang out with, but by the number of followers we have. Being active in social media has led to becoming more anti-social in the real world. Nothing is official unless it is, ‘Facebook official’. What a vain and meaningless life being constantly connected has become. As someone who now makes a living from working online, I am just as guilty of these crimes as anyone else. I can be in the most sublime place on earth, and my mind often drifts to whether I have an important email waiting for me in my inbox. I have caught myself checking social media on boat cruises through impeccable karst landscapes. Tomorrow I will find myself in some beautiful part of the world, but the moment I end up somewhere with a Wifi signal, I will probably log on to check if I have missed an important message in the three hours since I last checked. I am part of the problem. The sacrifices of free wifi can be measured in what we have lost as a society. A lot has been gained in terms of knowledge, and our lives have become easier, but at what cost? Very thought provoking. I also keep seeing more and more flights offering Wifi and I actually like the part of flying and being disconnected, not connected. It’s like a break that I only ever usually get when I’m asleep. We are totally the same. When we take a flight we look forward to reading or watching a movie (we never watch tv). We have notice more flights with wifi also. So crazy. Thank you for reading. Happy travels. You’re so right! But it’s so easy to fall into this trap of always being connected. Of assuring your parents you’re safe. Of checking a hiking trail. I remember my first hitchhiking trips, when hitchwiki didn’t exist. It was more exhausting trying to get to a good spot, but more rewarding, like in most of the situation. Later, when I carried a notebook in my last 14-month journey, as a website was born and the need of keeping it updated, I didn’t manage to disconnect completely. I would contact my family and friends too often, I would scroll down on facebook for hours when I finally found internet. Returning didn’t give me strong emotions as I expected. Very true Maria. Thank you for reading. There is definitely a bright side for sure. We need to remind ourselves sometimes to have a break from it, as we work online all the time. Definitely our parents are at ease when we contact them. The fact we can see them, see our friends kids grow up and see our grandparents is so special. Sorry for the late reply. Thanks again. Happy travels. Nice article with some great food for thought. I always try to leave my phone at home for at least a few hours during my day to gain a small sense of being disconnected / more connected if I can. Its a great reminder at keeping me in the now. Up until 3 months ago I didn’t have a smartphone and travelled the world without any computer or phone. Now that I’ve started blogging however, thats changed. How do you find the balance with technology as travellers and bloggers? There is definitely huge benefits to being disconnected for a while. It is tough finding a balance as bloggers/travellers, because we feel like we need to be ‘online’ as often as possible, or at least within a day or two of having internet. It has changed the way we travel for sure, but there are advantages to our new lifestyle. It’s hard, for sure. Thanks for reading, Steph. So true. I make a conscious effort to disconnect every so often, and rarely use the wifi at bars or restaurants… But a lot of the time that just leaves me staring awkwardly into the distance as the person I’m with is checking their facebook status. And because we are expected to always be connected, it gets harder to disconnect. I’m sure if wifi wasn’t so available, you wouldn’t think twice about having missed an e-mail, because people would expect longer breaks in communication. It is a shame we live in such a connected world. It is funny sitting in a bar and restaurant and watching someone’s friend leave them alone for a minute to go to the bathroom. Almost every single person who is left on their own instantly reaches for their phone. What a strange world we live in now. Thanks for reading, Nikita! Beautifully put. So true and yet so sad as well. For my generation at least i am in my thirties, i can remember when travel was wifi free. It lead to more surprises, and personal interaction with other travellers. Wonderful. But for the new generation of travellers, probably they would not know what they are missing. I have a love/hate relationship with technology for the reasons mentioned above. Actually, one of the things I like about a vacation is the mindset of being able to escape everything. As much as I love social media, being connected 24/7 is not good for the soul.